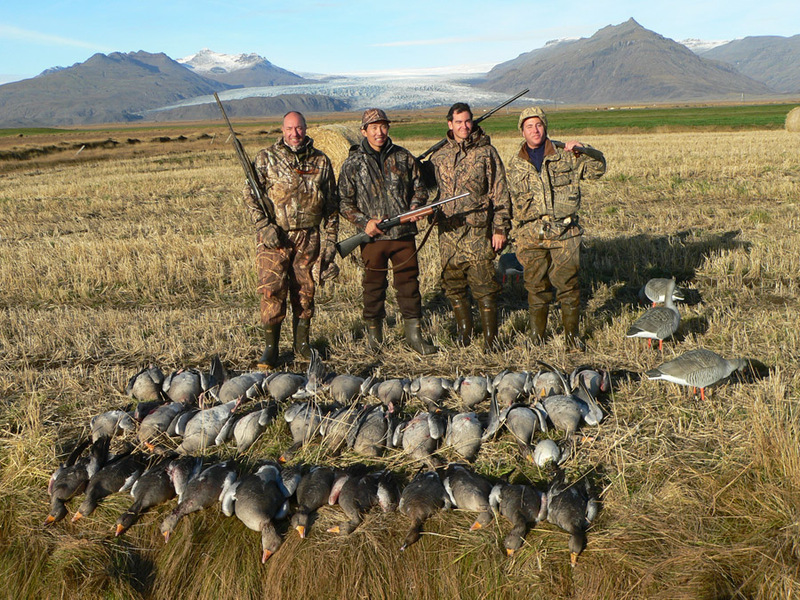 Goose hunting in Iceland is a really fantastic experience. Especially hunting Pinkfoot geese in the mountains. This hunt is unique and not available anywhere but in Iceland. There are 5 different species of geese in Iceland: Greylag goose, Pink foot goose, White front goose, Barnacle goose and Brent goose. Three of them can be hunted. The White front and Brent goose are protected. 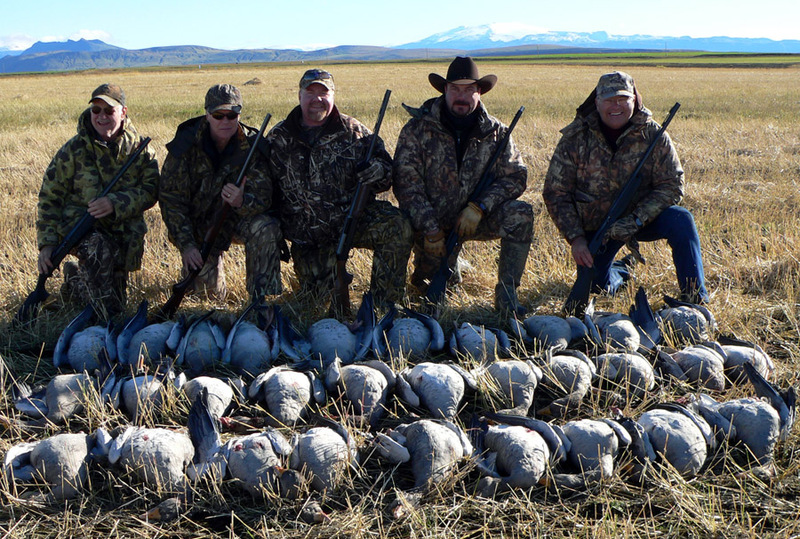 A standard Waterfowl hunting program consists of a 5 days trip, including 3 days of hunting. Duck hunting is sometimes included. In some places we can arrange an afternoon seabird hunt after September 1st. We hunt from pit blinds, bale blinds and natural blinds. These depend on hunting areas, dates and goose species. 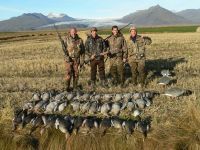 We operate our goose hunts in all parts of Iceland. Where we go depends on the dates and the weather. Official hunting season is from August 20th until March 15th. But in reality the season ends, when the geese migrate to continental Europe in late October. Accommodations during the hunt are in warm and comfortable lodges with all modern amenities. We provide at least 3 good meals per day and all drinks. We try to meet any special wishes that our clients may have for food.